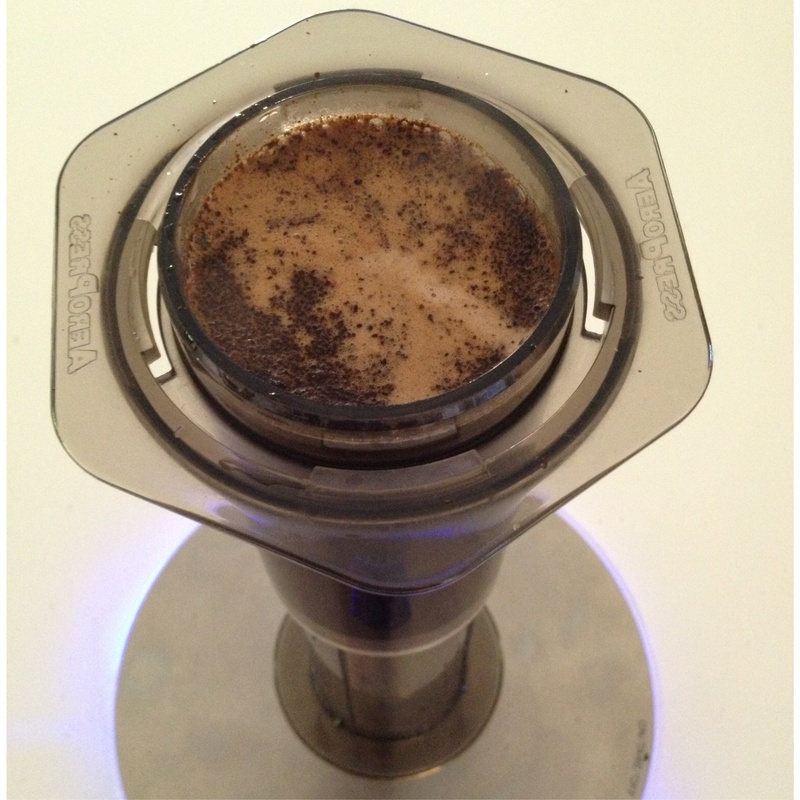 While writing a recent post on coffee pod machines, I looked back on my original Aeropress recipe and brewing method in use at the time. Now almost a year ago, I think it’s time to write an update of the recipe and method I am now using, given it is quite different to the original. 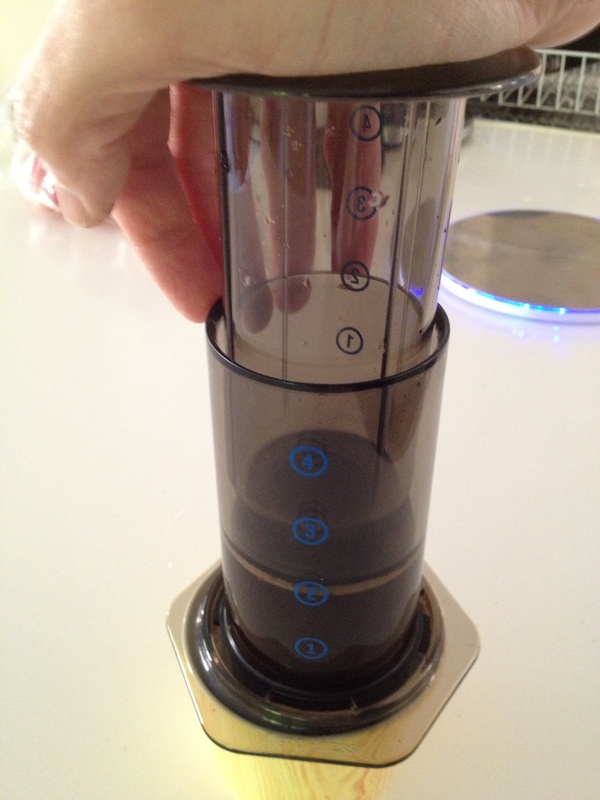 Although many readers will be well aware of the Aeropress as a brewing method, for those that aren’t, the Aeropress is a total immersion brewing system, which forces water through ground coffee by a large syringe like plunge mechanism, which pushes a pocket of air, forcing water through the coffee grounds at pressure. results in rapid yet robust extraction of flavor. 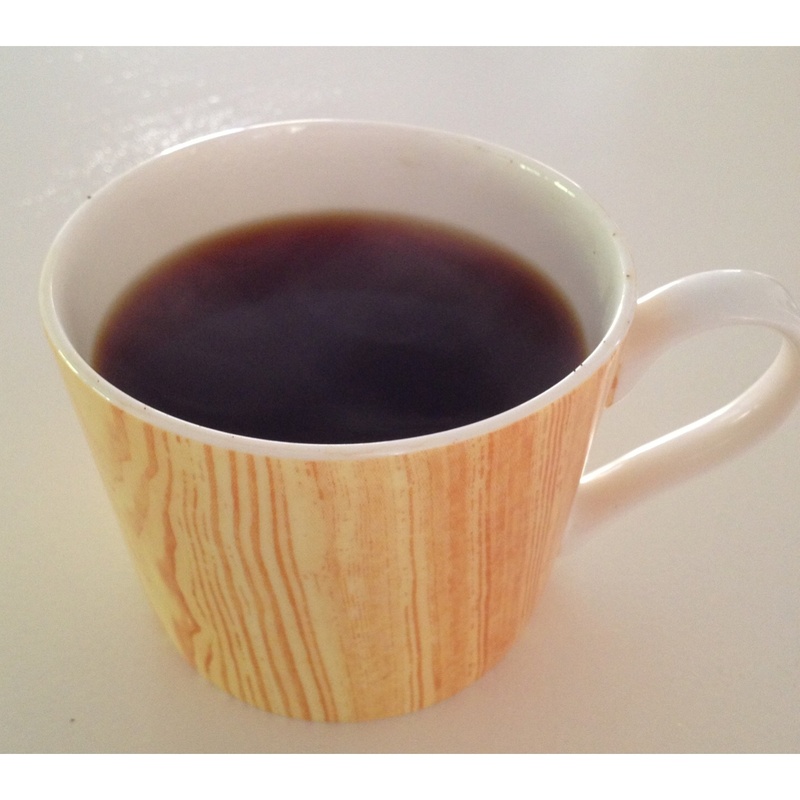 a moderate temperature, resulting in a smoother brew. processes such as drip brewing. Although the Hario V60 pourover is probably my favourite form of filter brewing, the Aeropress has been a great method to use in the office due to its ease of use, minimal clean up, and being a little sturdier than the glass french press chambers I have chipped or completely broken on occasion. 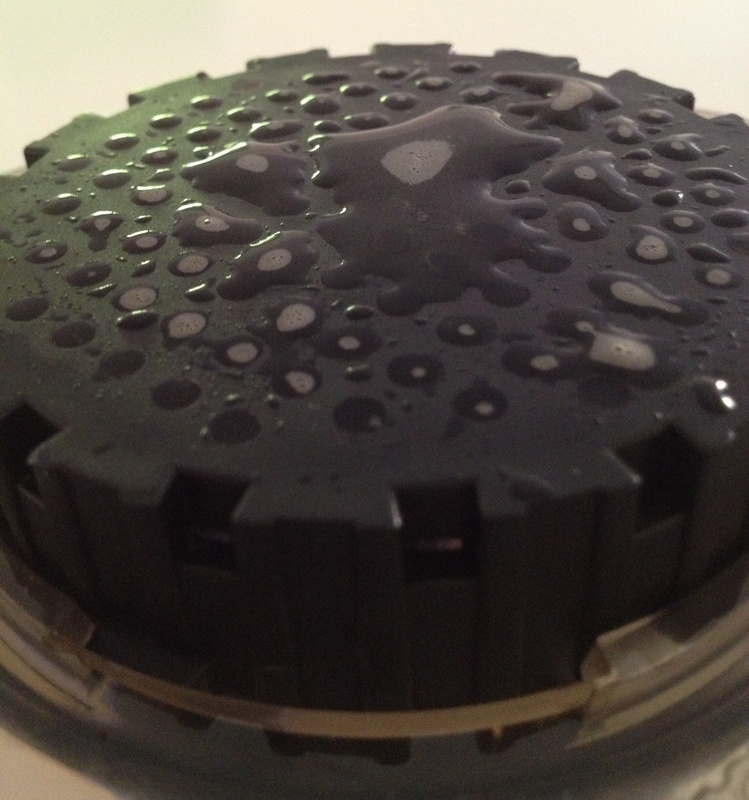 In terms of clean up, the Aeropress beats the french press hands down, with the spent coffee “puck” ejected straight into the bin, and a quick rinse of the filter cap, chamber and plunger completing the process. As for the resulting brew made by the Aeropress, I have always found this to be smooth and well-balanced. Probably not quite as crisp and bright as the V60, but very enjoyable none the less. Although the recipe below uses the standard paper filter (of which 350 are included with the purchase of an Aeropress), using a metal filter disc allows more oils and some fines from the ground into the brew, providing a fuller bodied cup if that is your preference. Whilst negating the need for paper filters and more convenient for travel, the disc then becomes another item in the post brew cleaning process. Overall, I see the Aeropress continuing to be a mainstay in my brewing repertoire for some time to come. ^ As I am limited to the “always boiling” hot water urn in the office rather than a kettle, the shot of chilled, filtered water cools the overall brew a little and avoids dumping boiling water directly onto the ground coffee. So, there you have it. My updated Aeropress brewing recipe. I’ll be sure to post an update again in another year or so should this change significantly. I’d encourage you to seriously consider this form of brewing both for variety and convenience, if it sounds like something that may suit your needs (and taste). Speaking of Aeropress championships, I am looking forward to getting along and watching the QLD rounds at Strauss in Brisbane in a few weeks time. Wait…no…am I going to have to change my recipe again? Aussie, Aussie, Aussie – Tech, Tech, Tech!